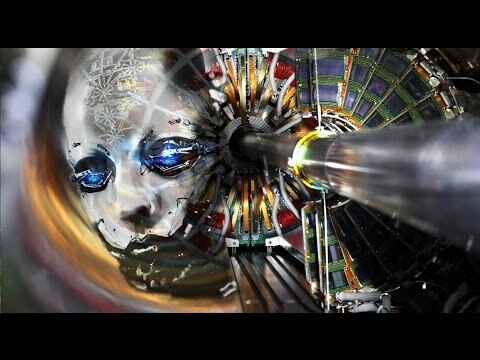 THE TRIGGER EVENT FOR WWIII? WILL THE IRAN DEAL AND THE RUSSIAN SALE OF ARMS TO IRAN, TRIGGER AN ISRAELI STRIKE AGAINST IRAN? WHEN GOG ATTEMPTS TO DESTROY ISRAEL? JOEL ROSENBERG has a knack for asking the right questions and making accurate predictions based upon his analysis of geopolitical events. 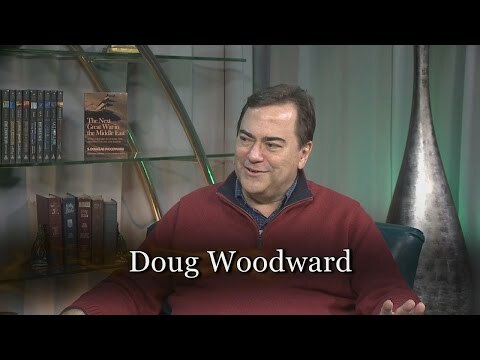 This knack has made him a respected voice in the prophetic community and beyond: he speaks often to congressmen and to leaders in the Israeli government, supplying advice based upon biblical insights. His most recent post today, September 2, makes the same assessment I have made and (publicly stated for about four weeks now) on radio shows and articles. That analysis concerns the deal made between the U.S. and Iran (officially, the 5 + 1), agreeing to allow Iran to continue developing its nuclear technology–as long as it doesn’t make a nuclear weapon. I pointed out, as has Mr. Rosenberg, that the deal negotiated by the Obama Administration through the work of Secretary of State John Kerry, has a scary similarity to the deal made with Adolf Hitler in Munich in 1938, by Sir Neville Chamberlain, British Prime Minister. Chamberlain declared that the deal he made with Hitler would bring “peace in our times” when all it did was give the Fuhrer one more year to build weapons and make plans for launching WWII. The Deal of the Century? Despite President Obama’s insistence that his nuclear deal with Iran will make the world safer and more secure, it is already driving Iran’s leaders into a “massive military shopping spree” in Russia that will make the Mideast and the world far more dangerous. For example, Iran’s leaders say they expect to take possession of the Russian S-300 missile system — the most advanced anti-aircraft missile system ever built by the Kremlin — by the end of the year. This billion-dollar system, which Iran has been seeking for years, is state-of-the-art. It would make it far more difficult for any nation’s air force to successfully strike Iran’s nuclear sites in the future. This raises a sobering question. 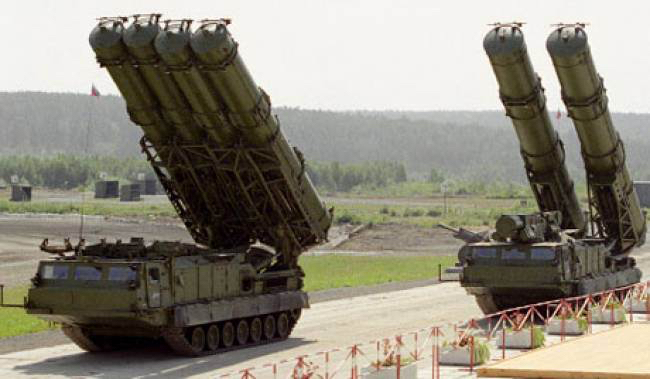 Does the Israeli government consider the procurement and imminent deployment of the S-300 system in Iran a “red line”? That is, would such a development force Israel’s hand by persuading her leaders to launch a massive preemptive strike before the S-300 could become operational? In other words, Israel may conclude it only has a matter of months to “take out” Iran’s nuclear capability. If Israel attacks, however, it will be seen by the whole world as an act of war and likely justify an attack (from all directions) to rid the world of this pesky Jewish state once an for all. If this happens, it will be the fulfillment of Ezekiel 38-39, the so-called Battle of Gog and Magog, in which a great leader from the extreme recesses of the north confederates armies from the Middle East and North Africa, attempting to “cover the land like a cloud” and annihilate Israel. Rosenberg offers President Obama’s words and his analysis suggesting that what the U.S. just did was making “the deal of the century”–a deal so dreaded that it will lead us to World War III. “Today, after two years of negotiations, the United States, together with our international partners, has achieved something that decades of animosity has not — a comprehensive, long-term deal with Iran that will prevent it from obtaining a nuclear weapon,” insisted the President. 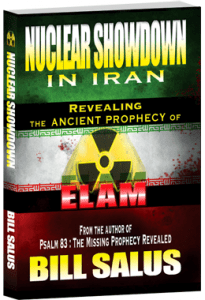 Author and friend Bill Salus suggests in this book, Nuclear Showdown in Iran: The Prophecy of Elam, that Jeremiah’s prophecy about the destruction of Elam sounds like a dramatic event made worse by nuclear radiation. Salus has made a compelling argument that this event will play a major part in the last days, leading up to the concluding wars in the Middle East. 35 Thus saith the Lord of hosts; Behold, I will break the bow of Elam, the chief of their might. 36 And upon Elam will I bring the four winds from the four quarters of heaven, and will scatter them toward all those winds; and there shall be no nation whither the outcasts of Elam shall not come. 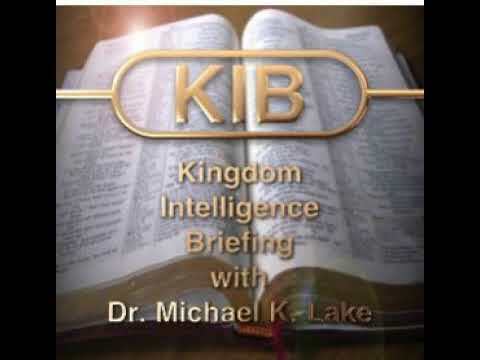 38 And I will set my throne in Elam, and will destroy from thence the king and the princes, saith the Lord. 39 But it shall come to pass in the latter days, that I will bring again the captivity of Elam, saith the Lord. Will Israel strike Iran? The time is running out. Israel is now in a “lose-lose” situation. If they elect not to strike “Elam” the consequences could be disastrous for Israel. If they do elect to strike western Iran, the consequences could be even more dramatic. 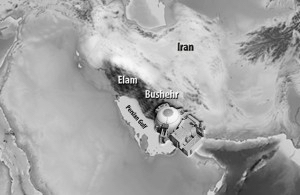 I would speculate that Israel will strike–but it is also a possibility that an earthquake will hit the area destroying Iran’s nuclear capability without Israel being directly blamed. 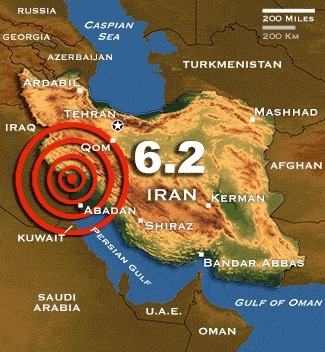 A simple search on Google reveals dramatic earthquakes throughout Iran’s western region. Magnitude 6 and above earthquakes are common there. I’m often asked what happens next in the Middle East? The likelihood that a nuclear attack or nuclear tragedy brought about by natural events grows higher by the minute. If Israel should elect to attack Iran and risk the anger of the world for that action, the probability increases enormously that we will see “seismic” military in response. 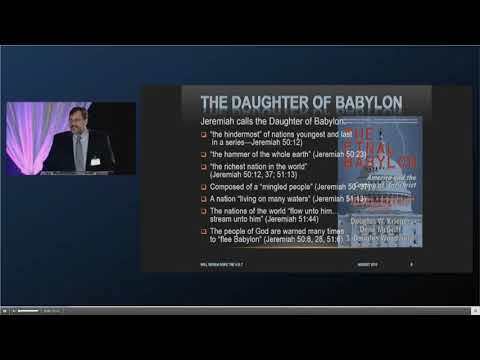 The Battle of Gog and Magog, that most prophecy scholars predict begins the final seven-years before Jesus Christ returns, seems a probable outcome. See my blog for numerous articles on the situation in the Ukraine and why we are possibly on the precipice of a nuclear war. Also, please be advised that I have written a short book on the subject of whether Russian is set to square off against the U.S. and may launch a surprise assault on America. 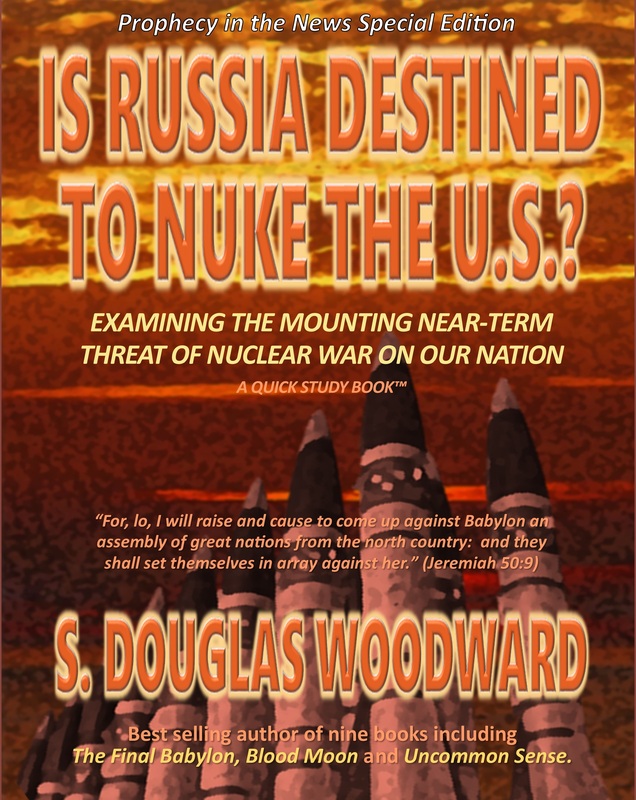 You can find the book, IS RUSSIA DESTINED TO NUKE THE U.S.? on Amazon. The eBook is only $4.95. The printed version is an oversized 44-page book (8.5 x 11–two-column magazine format) and is available for $9.95. Previous PostTough Questions on the Fate of the United StatesNext PostHOW WILL SEPTEMBER BE REMEMBERED?